You wake up on a crisp autumn day, it's a little bit cloudy, but the colourful trees are really inviting to go for a walk! Your dog is excited to go out for a run - and you are a little bit nervous because today's the day - the pre-wedding photo shoot day! What shall we wear? What will it be like? Will we have to pose? Will it be boring? Will it be too long? 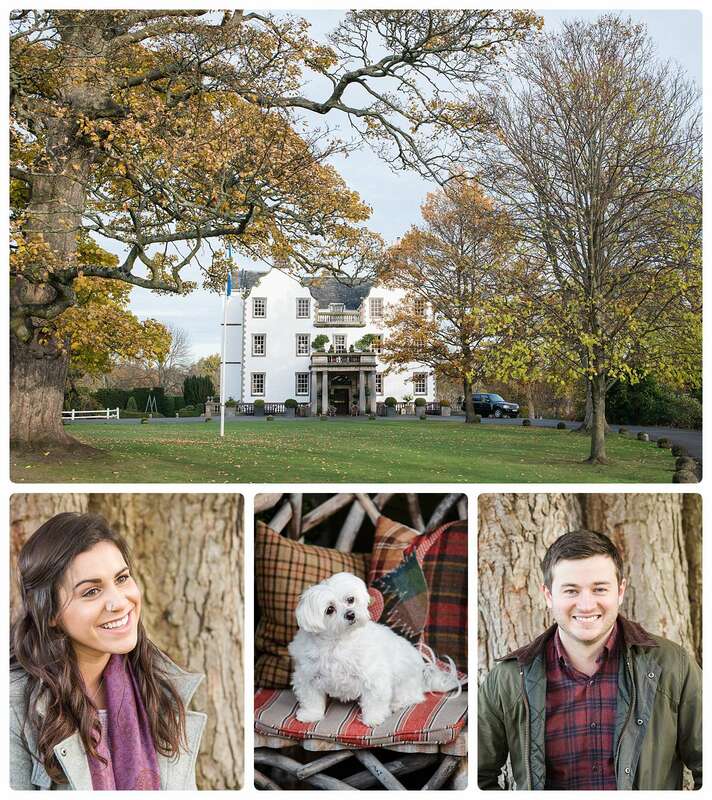 Kristina and Euan are getting married in Prestonfield in Summer 2018 and they opted to have their pre-shoot at Edinburgh Prestonfield House too. 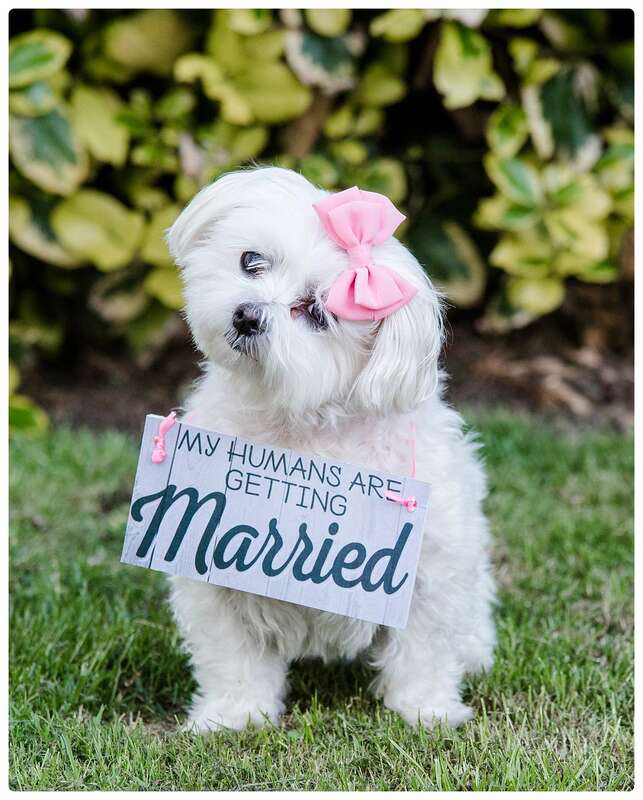 They have this cute little dog - Daisy - which I photographed for their "Save the date" notices. She's so well behaved! I love pets, they are family members!! So it's only natural if a couple want to bring it to the shoot. 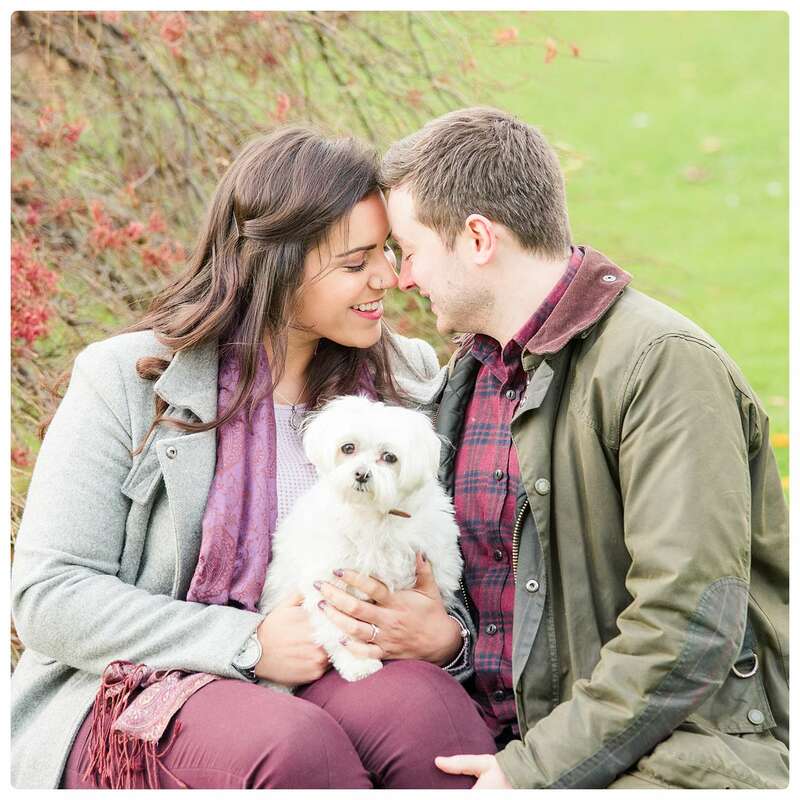 It's best to take photos of the dog at the start of the photo session, and then either have someone walk the dog for the rest of the shoot, so that the couple can concentrate on their own photographs, or - if the dog is used to it, and if it's safe - it can wait in the car. A pre-shoot only takes about 45 minutes. It's simply a fun time where you can get used to being in front of the camera and I can get to know you a little bit - and vice versa. 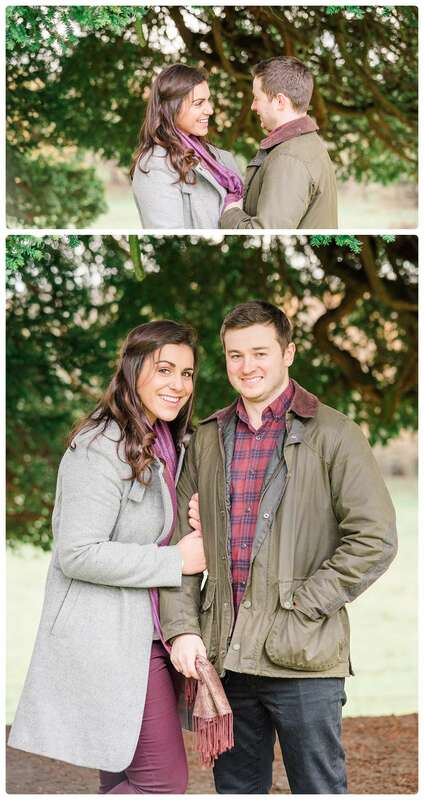 I'd always recommend an engagement photo session, it's part of my weekend wedding package!! 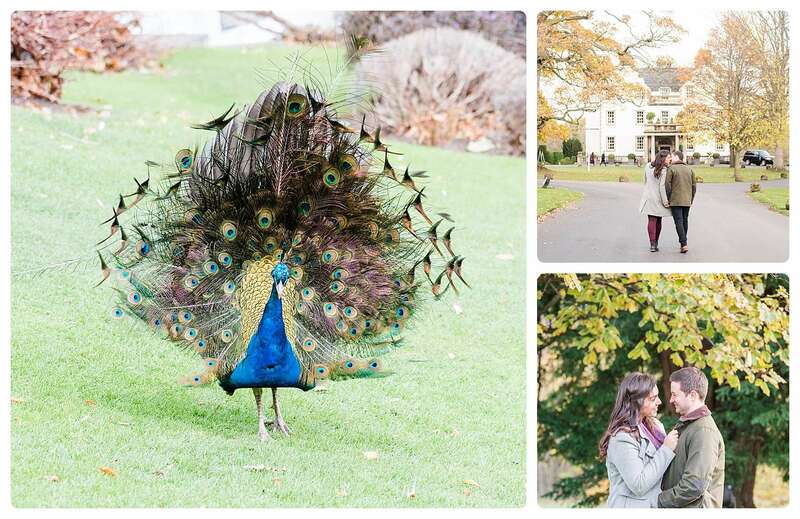 Wondering what a pre-shoot is? I wrote a little article about it here.